The sweat your body releases after a 30 minute Infra Red Sauna session is very different than the sweat released from regular exercise, jogging or even a steam sauna session! When far infra red waves penetrate the skin, it causes the pores to “dilate” and easily bring the unwanted toxins “up & out” and onto the skin (make sure you constantly keep wiping the sweat off!) for an amazing and effective whole body detox! After both type of sweats were analyzed…guess what they found? 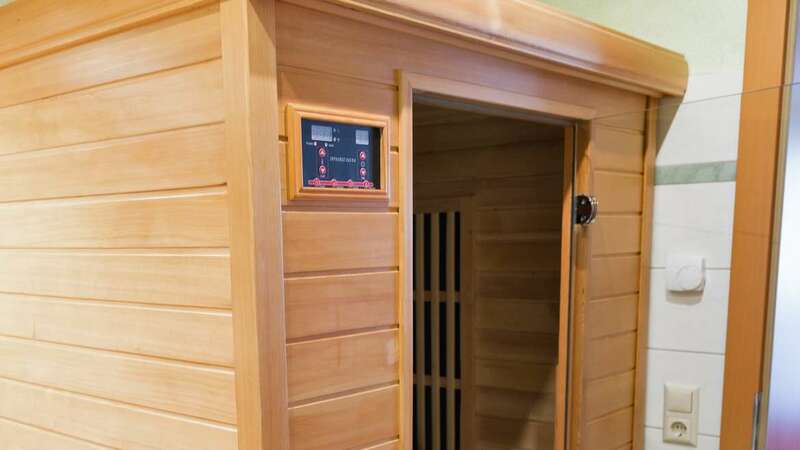 *The sweat of people using a far infrared sauna contained cholesterol, fat-soluble toxins, heavy metals (such as mercury, aluminum, and arsenic), nicotine, sulfuric acid, ammonia, and other undesirable elements! *Normal sweat produced by jogging, exercise and steam saunas is mostly water and sodium chloride (salt). WAH! In conclusion the benefits from sweating in an infra red sauna are AMAZING and detoxifying! Combine that with a whole body vibration session and detox foot bath, and you have “our” proven 3 step detox! Make your 3 Step Detox appointment, so you can sweat out real toxins today!